The Honey Bee Grant program allows for a K-12 school or non-profit organization to receive support for an educational honey bee hive. Observation hive: equipment grant of a custom made indoor observation hive from The Bee Cause Project. *All equipment grants include a small monetary grant, covering the first year of expenses. Grant recipients also receive remote consultation and assistance with Beekeeper partnership from The Bee Cause Project. For all required reading for the Honey Bee Grant program, as well as instructional videos, please visit The Bee Cause Project resources page. Watch our webinar with The Bee Cause Project for more information about the grant and how to get your bees approved. For any questions regarding the Honey bee hive grant process or if you need support in the bee approval process, email The Bee Cause Project directly at info@thebeecause.org. For technical questions or issues regarding your online application, please email grants@wholekidsfoundation.org. The Bee Cause Project’s Educator’s Guide to STE(A)M connections to a honey bee hive. Book Club – The Honey Makers. 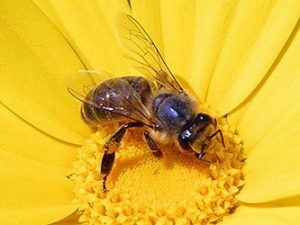 Find even more honey bee education resources in our Resources section.